Asparagus beetles are a pain in the … asparagus. There is the common asparagus beetle and the spotted asparagus beetle, and they both love eating asparagus. They hunker down anywhere they can to stay warm in the winter. When they awaken in the spring, they are hungry. If you grow asparagus, you are at some point in time probably going to have to learn how to get rid of these beetles. There are a few proven asparagus beetles control methods. They work to prevent these and other insects from attacking your plants. 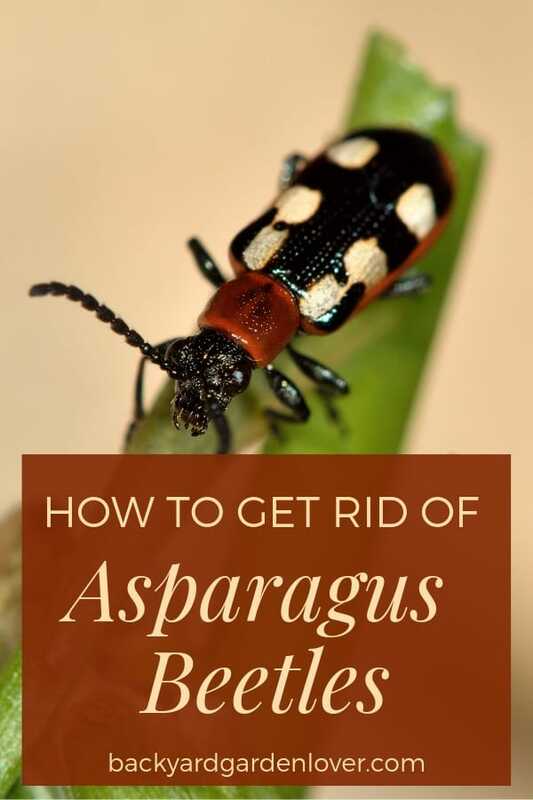 Other methods help you properly deal with asparagus beetles after they show up. Let’s take a look at 5 simple, safe and effective ways to keep your garden asparagus beetle-free. Lacewings and ladybugs find asparagus beetles delicious! They will also eat squash bugs and other garden predators. A recent Google search for “where to buy lacewings and ladybugs” produced 264,000 results. The listings included brick and mortar businesses and online destinations. 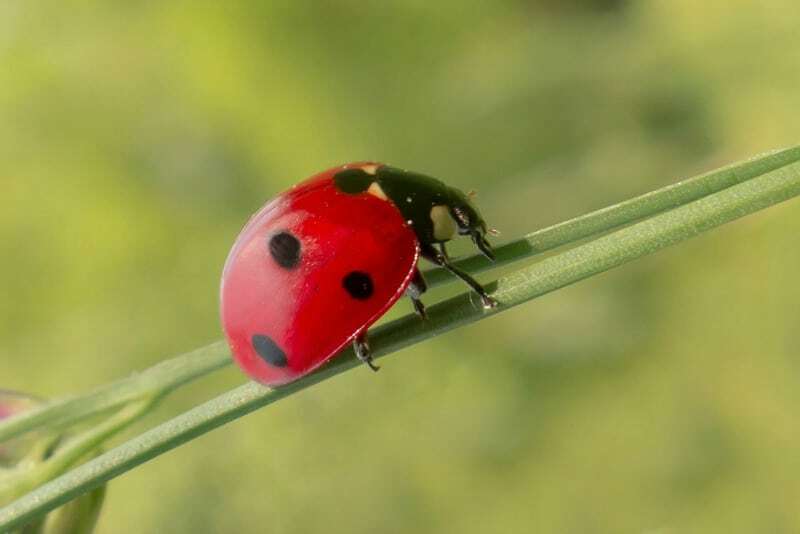 Your local gardening center or nursery may not sell lacewings and ladybugs. If this is the case, you can find what you need on Google or Amazon. Dragonflies, some birds and farmyard fowl will also happily eat asparagus beetles. Some gardeners use a soft-bristled brush and simply brush off larvae and eggs. Eggs and larvae will die on the ground. I know what you are thinking. 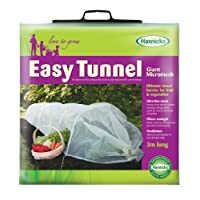 You want to keep man-made chemicals and toxic pesticides out of your garden. I feel the same way. An OMRI approval means acceptance by the Organic Materials Review Institute. This certification means only ingredients approved by the USDA as organic are involved. 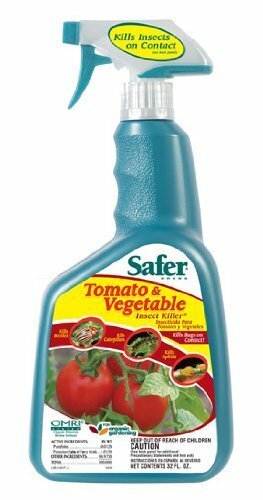 Safer Brand Tomato and Vegetable Insect Killer is approved for use in organic gardens. Asparagus beetles hate it. You can probably find it at your local nursery. You can also pick it up online. Neem oil is a safe, natural pesticide that comes from the Azadirachta indica tree. It is good for killing asparagus beetles and other pests. Neem oil helps prevent mildew buildup as well. 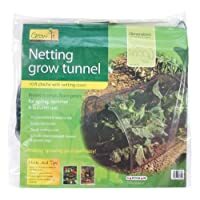 It is safe for soil and for use on edible plants. 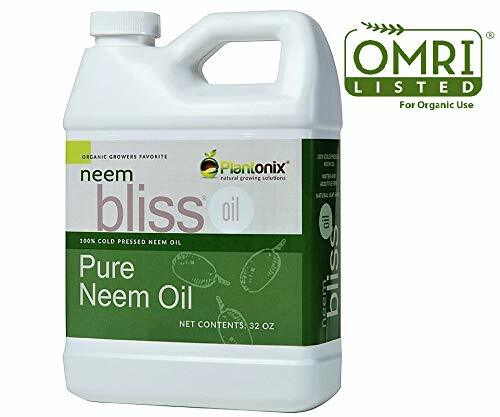 Neem oil is both EPA and OMRI approved as a safe, non-toxic gardening product. Asparagus beetles control means protecting the entire plant. These bothersome garden gremlins don’t care what part of an asparagus plant is unprotected. They will eat it all. That’s why row covers are so important. 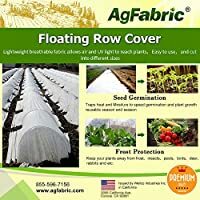 These lightweight fabrics or cloths protect an entire row of plants. They let mother nature in (water, air, sunlight) and keep asparagus beetles and other hungry insects and birds out. 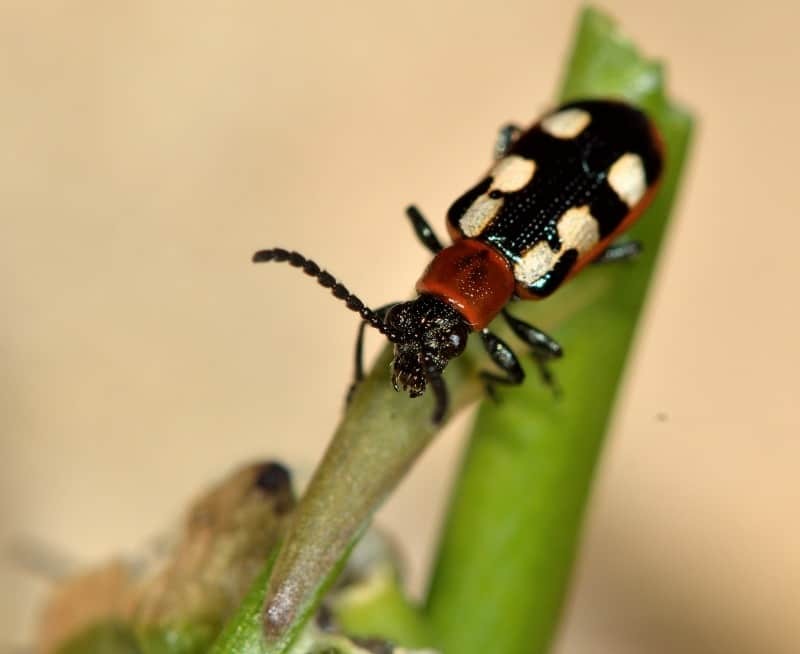 This asparagus beetles control method shortens the life cycle of the pest. Fully grown beetles prefer plants with foliage. If you can harvest your crop when the asparagus is young you automatically lower the odds of infestation.